I have been involved in the stock market for 35 years. 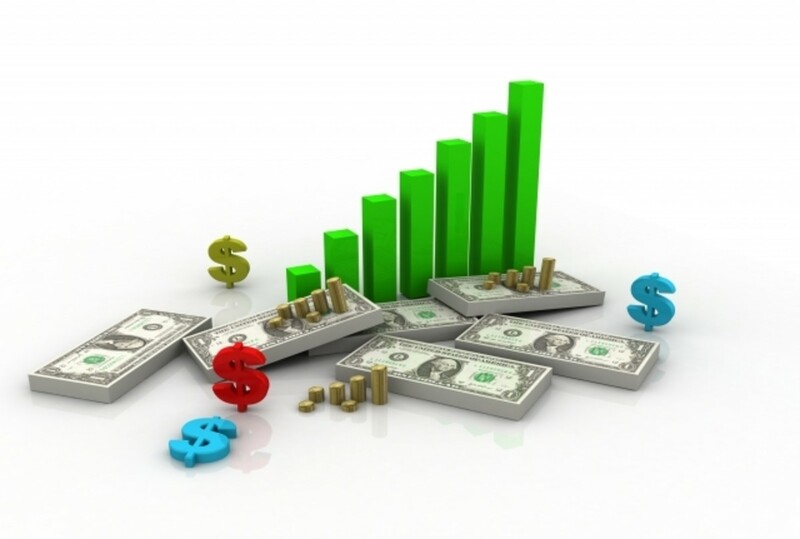 I hope you enjoy my articles about stocks and financial topics. The outlook for Bank of America's Stock BAC has improved dramatically in recent years and should continue to improve during as long as the United States economy is improving. With the 2008 /2009 financial crisis that rocked the United States economy and financial markets fading from investor's memories, and with Bank of America staging a solid recovery in its financial condition and the price of its stock (NYSE: BAC), it is worth looking into what the future might hold for the company and the outlook for Bank of America's stock. This article examines what may affect BAC's financial outlook and stock price, both positively and negatively going forward. Where is Bank of America’s Stock BAC Heading? The Positive View. Bank of America has increased earnings per share substantially during recent fiscal years. Current bank management has been reducing exposure to non-performing loans. On the growth side, the bank has grown its mortgage loan and credit card business lines, which are big profit centers. A factor that could positively affect BAC going forward is Bank of America’s plans to raise its dividend over time if they can obtain regulatory approval. Bank of America’s management has also indicated that the bank is not interested in major acquisitions, which can have a negative impact on a stock price. Ongoing cost-cutting and efficiency measures could help Bank of America’s earnings and help the stock price. Bank of America expects to return additional capital to shareholders through share buybacks and special cash dividends, in addition to the planned increases in the Bank of America quarterly dividend. All of which should have a positive impact on the price of BAC in the long run. Where is Bank of America’s Stock BAC Heading? The Negative View. Since Bank of America controls 20% to 25% of the home mortgage market, the bank also controls a similar percentage of the total number of properties in foreclosure in the United States. At the beginning of the foreclosure crisis in 2008, stock analysts could easily quantify the loss that Bank of America could reasonably assume from selling foreclosed properties. This is because taking possession and selling foreclosed properties was a routine part of the banking business, and the costs of disposing of foreclosed properties were well known and understood. This is no longer the case. 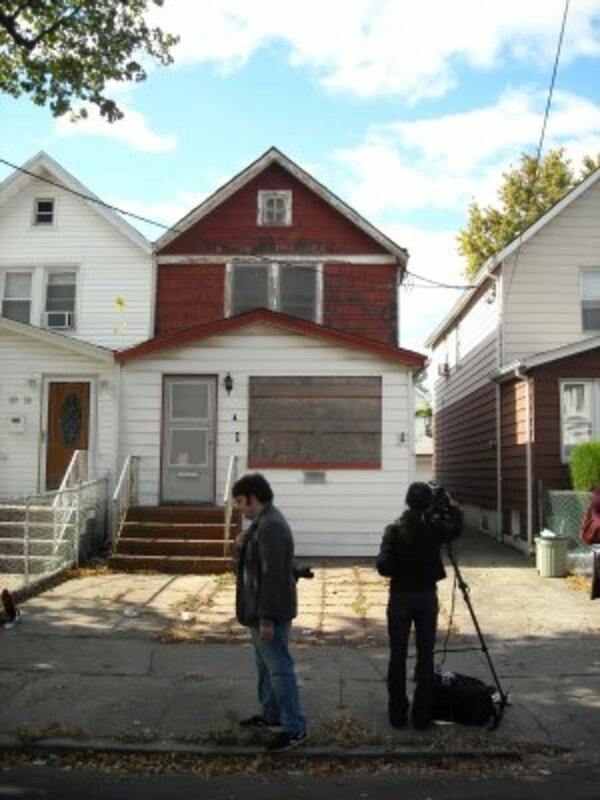 With so many foreclosed properties, the United States housing market is in uncharted territory. What banks, such as Bank of America, may ultimately receive for the foreclosed properties on their books cannot be quantifiy easily. The biggest negative impact to Bank of America’s bottom line from its enormous foreclosed property holdings may be yet to come, and is not well understood by the investing community. While it was easy in 2008 for analysts to make assumptions about the losses that will ultimately be incurred when a foreclosed property is sold, that is no longer the case. The mounting expenses from long held foreclosed properties and the unusually large backlog of foreclosed properties means that banks, such as Bank of America, will ultimately only recoup only a fraction of the money they lent out on their foreclosed property holdings compared to what they would recoup in a healthy housing market. This means more write-downs for foreclosed property losses on Bank of America’s quarterly earnings statements in the quarters to come. This will be a drag on any earnings they are able to generate from their business operations, and could ultimately be a drag on the stock price of BAC. The increasing losses from disposing of foreclosed properties will be in addition to Bank of America’s June 2011 $8.5 billion settlement to settle claims that the lenders sold poor-quality mortgage-backed securities that went sour when the housing market collapsed. Although the stock market breathed a sign of relief at this settlement news, since it quantified Bank of America’s losses from such lawsuits, some market observers are not convinced that this is the last settlement that Bank of America will pay for its involvement in the mortgage-backed securities business. Any additional settlements could negatively impact BAC. Another risk to Bank of America’s bottom line and the performance of BAC is the yield curve that represents what it costs banks to borrow money via short term loans from the Federal Reserve and what they are able to lend it out for in long term loans. If the yield curve flattens, meaning the short term interest rates rise and/or long term interest rates fall, it could impact Bank of America’s earnings in a negative way. The overall performance of the United States economy is a major risk to Bank of America’s bottom line and the performance of BAC. Another recession in the near term would certainly hurt Bank of America’s bottom line and ultimately the price of BAC. However, since Bank of America is considered “too big to fail”, the downside risk may be limited, as it appears the United States government is ready to step in and help Bank of America and other key banks to prevent them from failing. Another govvernment bailout could lead to future dilution of Bank of America’s common stock BAC. How Bank of America’s stock BAC ultimately performs is closely tied to the performance the United States economy. Bank of America’s business and revenues are closely tied to the United States domestic economy, with operations in all fifty states and the District of Columbia. According to their 2010 Annual Report, Bank of America has a "retail banking footprint" that "covers approximately 80 percent of the U.S. population and in the U.S."; it serves "approximately 57 million consumer and small businesses" at "5,900 banking centers" and "18,000 ATMs." As the old General Motors saying goes: What’s good for Bank of America is good for America. Ultimately, nothing may be as important to the profit outlook for Bank of America and the performance of BAC than the ongoing slump in housing prices and the persistent housing foreclosure crisis. With the foreclosure crisis showing no signs of improving, and with foreclosed properties piling up on Bank of America’s balance sheet, accounting for the losses from foreclosed properties is getting more difficult. With numerous court decisions that have slowed the foreclosure process, to ensure that foreclosures are being done fairly and according to the law, and with millions of foreclosed properties either on the real estate market or waiting to hit the market, banks like Bank of America have to hold foreclosed properties for much longer than they would in a healthy housing market. This is expensive since foreclosed homes still need a minimum level of maintenance, and taxes and homeowner association fees must be paid. Bank of America and its stock BAC are so tied into the American economy that ultimately the performance of the American economy may dictate how well BAC performs. Adequate due diligence should be performed and a registered financial consultant should be consulted before any investment decisions are made. For disclosure purposes, I currently have no position in BAC. To understand where Bank of America’s stock is heading, it is important to understand how it got to its current level due to the 2008 Financial Crisis that rocked the United States financial markets. 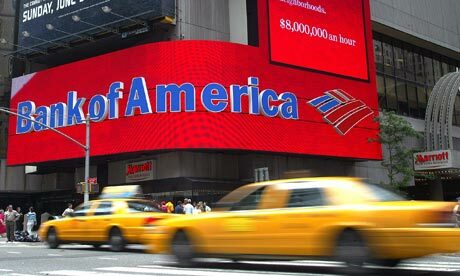 On August 23, 2007 Bank of America announced a purchase agreement for Countrywide Financial, which was completed in July 2008. The purchase of Countrywide Financial meant Bank of America controlled 20% to 25% of the home mortgage market, making the bank the leading mortgage originator and servicer in the United States. The acquisition was completed just as the subprime mortgage crisis was hitting the financial markets and just before the recession that began the prior December took a turn for the worse in September 2008. The acquisition of risky mortgage loans in the Countrywide Financial portfolio and the increasing number of Bank of America originated loans that became non-performing (meaning payments were not being received) pushed Bank of America close to bankruptcy. The company’s stock BAC fell from the low $50s in 2007 to the $11 range in November 2008, as the recession took hold and its loan portfolio soured. On January 12, 2009, BAC had fallen to a little over $7 per share, and rumors of bankruptcy were swirling. Since it was considered to be “too big to fail” without causing major economic disruption, on January 16, 2009, Bank of America received $20 billion in a federal bailout from the United States government through the Troubled Asset Relief Program (TARP), and at the same time received a guarantee of $118 billion from the government for potential losses at the company. This money and financial assurance was in addition to the $25 billion given to them in the Fall of 2008 through TARP. The additional January 2009 bailout and financial assurance was part of a deal with the government to preserve Bank of America's merger with the troubled investment firm Merrill Lynch. The January 2009 bailout and financial assurance did not stop Bank of America's stock BAC from falling further. On March 2, 2009, BAC’s stock closed at low of $3.14, which was the lowest closing price for BAC during the financial crisis. Bank of America's stock BAC rebounded from the March 2009 low. On December 2, 2009, Bank of America announced it would repay the entire US $45 billion it received from TARP and exit the program. With the economy improving, BAC hit a post-crisis high of $18.43 in April of 2010. It has since fallen below the psychologically important $10 level, due to ongoing concerns about the bank's exposure to loans associated with the depressed housing market and the overall state of the United States economy. This all brings us to what the future may hold for Bank of America’s stock BAC. What Does The Future Hold For Bank of America's Stock BAC? Is there an answer to the question: What Does The Future Hold For Bank of America's Stock BAC? Yes, watch the performance of the United States economy. Bank of America and its stock BAC are so closely tied into the United States economy that ultimately the performance of the United State economy will likely dictate how well Bank of America's stock BAC performs. Adequate due diligence should be performed and a registered financial consultant should be consulted before any investment decisions are made. For disclosure purposes, I currently have no position in BAC. Disclaimer:This article was not written by a financial professional or a registered financial advisor.This article is for informational purposes only, and is not intended to be solicitation or recommendation to purchase BAC or securities mentioned herein.Please consult a registered financial advisor to ensure you understand the risks and rewards associated with buying and selling stocks such as BAC and other financial products. Apple, Inc.s (AAPL) stock has gone from about $7 per share to the $350 per share range; a gain of 5,000%. However, even with its lofty market capitalization, by standard stock market valuation measures, Apples stock is still relatively inexpensive. How Would You Rate Bank of America's Stock BAC? I believe BAC will double in next 12-24 mos. 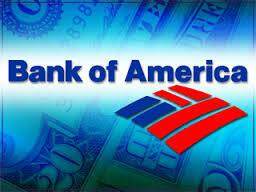 I think I would not waste my hard-earned money on Bank of America stock - BofA is too corrupt. Bank of America stock is listing in many holdings of mutual funds, so "owning" Bank of America stock is almost unavoidable. limpsh3215, The problem with BAC is that it is so exposed to consumer debt in the U.S. economy that it is hard to imagine that the company will survive another recession without additional government help, which means further dilution for current BAC shareholders. Even government help is doubtful given the current fiscal and political climate that the U.S. government is operating in. BAC has fallig to around $6 + which looks so attractive now. But with the persists of the debt crisis, it seems that further falling of all the financial stocks can't be avoided. Thanks for sharing.